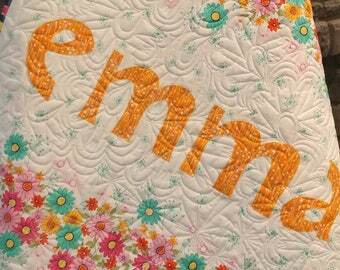 The beautiful, detailed quilting on each of my quilts is what makes these pieces stand out from the crowd. 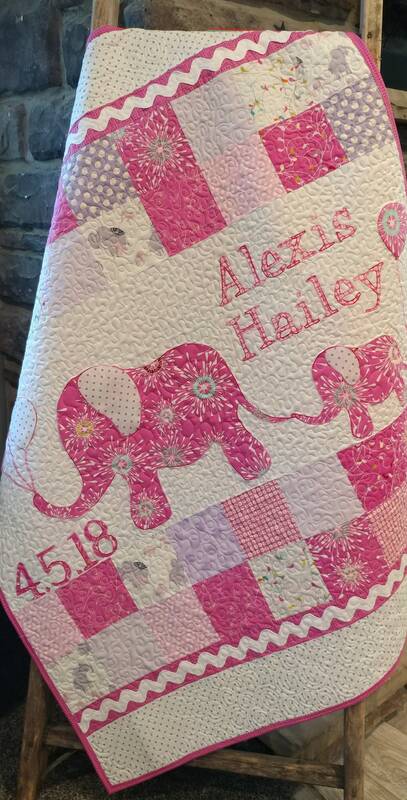 I meticulously quilt each item with special attention to detail so that you get a one-of-kind, superior baby quilt that can be treasured forever. I make each quilt myself. I use my regular sewing machine to sew the top of the quilt and then use my quilting machine to put the top, batting (stuffing), and back of the quilt together. 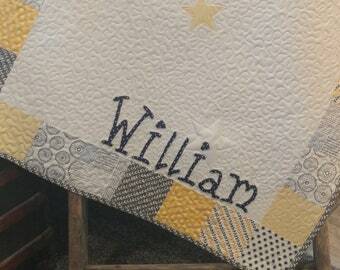 Let this beautifully quilted, handmade baby quilt be the star of your baby's sophisticated nursery. We will work together to design a one-of-kind masterpiece especially for your wonderful little someone! 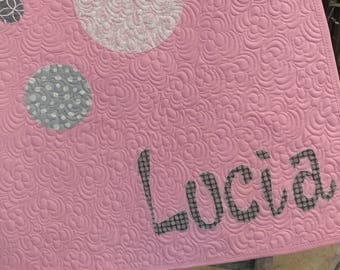 Send me an email now and we'll get started on making a one-of-a-kind quilt that will match your nursery décor and be a beautiful keepsake for you and your baby. 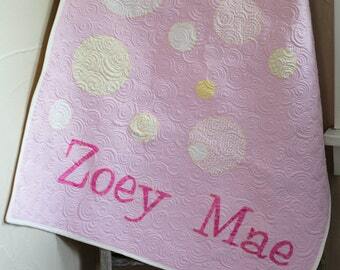 **Your quilt will be customized in this style, or any other style, using a color palette of your choosing. HERE'S HOW IT WORKS: If you would like me to make a quilt for you similar to the one in the picture (or even something different), simply click the "ask a question" or "contact" button and tell me a little about what you are looking for. Tell me things like when the baby is due, when you would like the quilt, possible color choices, possible nursery themes...stuff like that. Then, I will get back to you and we will work out all the details. When the details are all set, I will set up a custom lising for you and you will make the purchase! 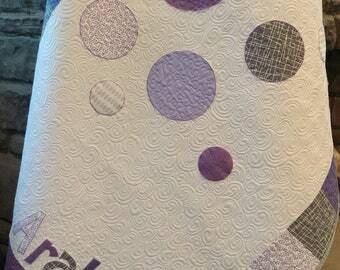 Then, I start the quilt!!! I will keep you posted on my progress and let you know as soon as I ship the quilt! Easy Peasy! 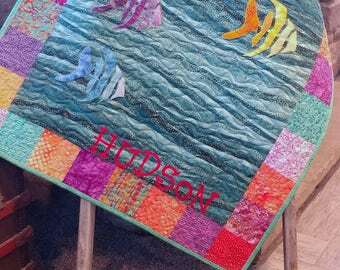 So, go ahead and contact me and let's get started on desiging a one-of-a-kind quilt made especially for your little someone special! !